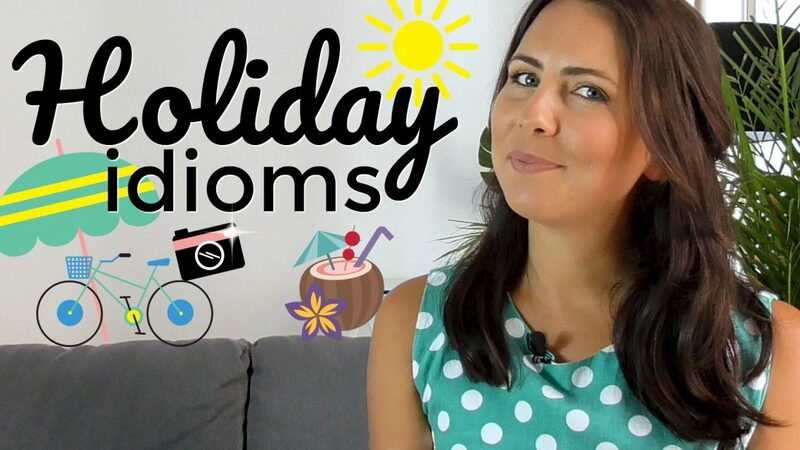 This English video lesson will show you how to use my favourite English ‘Weather’ Idioms! Idioms are difficult to learn because the meaning of an idiom is different to the individual meaning of each word in the idiom! Hello! I’m Emma from mmmEnglish! 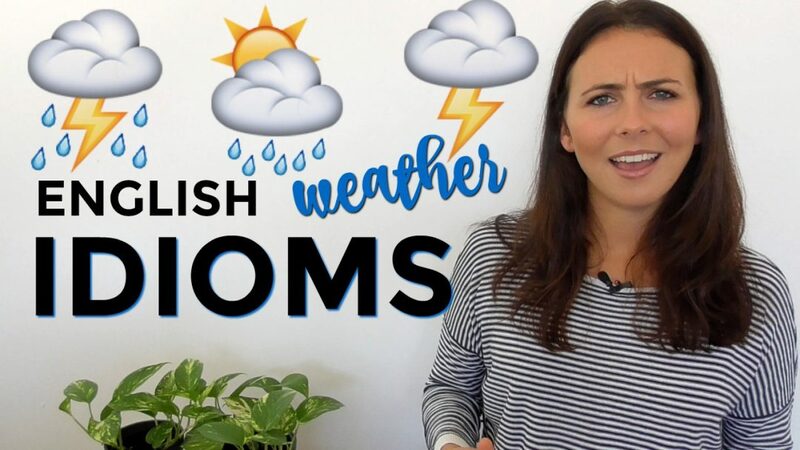 In this video, I’m going to be sharing some of my favourite English ‘weather’ idioms. Now, don’t forget to turn on the subtitles right here, once you’ve done that we’re ready to get started! 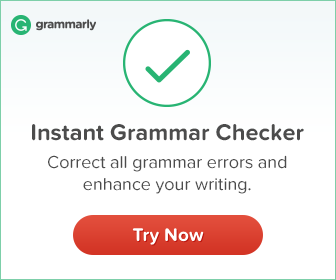 Idioms are English expressions that are quite unique because the meaning of the expression is difference to the individual meaning of each word. Now, idioms exist in lots of different languages but the reason that they can be so difficult to understand and also to learn to use is because of the different meaning that you need to understand. It’s also because most of the time when you’re trying to learn these idioms you’re looking in a book or you’re looking on a website that has a list of hundreds and hundreds of idioms and you just end up getting frustrated and confused. Some of them I haven’t even heard of before! The secret to learning English idioms is to focus on idioms that relevant and that are often used in everyday conversation. Like everything, idioms come in and out of fashion! Sometimes they’re popular. Sometimes they’re not, they’re really daggy and no-one uses them anymore. It depends on who you are, where you are, your age and the people that you hang out with. Idioms are quite unique like that but there are a group of really common idioms that are used across native speaking countries. And to make it easier for you, I’ve chosen all of the idioms that I teach in these lessons specifically because they are currently in use. The are used every day. I hear them all the time! So you can feel confident that they’re worth learning and it’s worth spending your time on these idioms. So, don’t get your knickers in a twist! Don’t get upset! 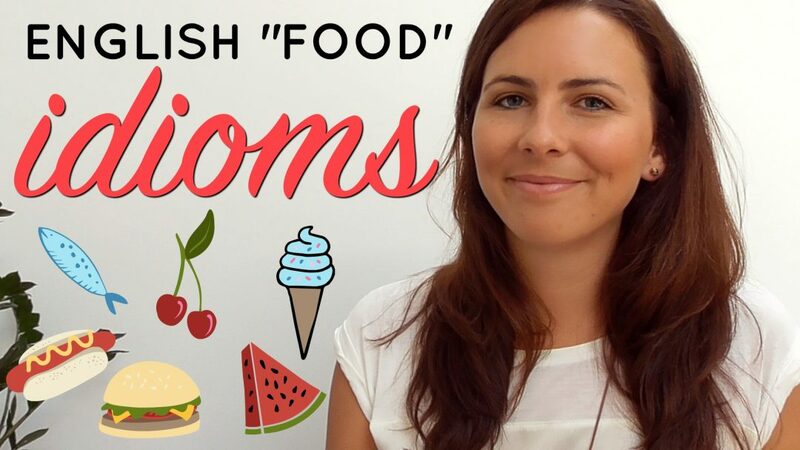 I’m going to teach you a few really common English idioms right here, right now in this lesson! Let’s get going! When I say the word ‘weather’, what kinds of ideas come into your head? I think of sunshine, rain, clouds, storms, lightning, thunder, wind, all sorts of words! And all of the idioms that I’m going to teach you today use weather words in some way. Now if you feel under the weather, you’re not feeling very well at all. You might be sick, like you might have a cold or something like that. You feel not as healthy as you usually do. So this idiom is used when something goes wrong and a whole bunch of things go wrong at the same time. That is the time to use this idiom! So, think about this situation. You’re really busy at work. You’ve got three projects that are due by the end of the day and your colleague has called in sick to say they’re not coming to work today. So they are not going to help you complete the reports. And the power has just gone off in your building which means you don’t, you’re not able to use your computer. So you decide to take your laptop and go to the local library and work there. So you go downstairs and you go back to your car and you suddenly realize that you’ve locked your keys inside the car! This is the perfect example of “when it rains, it pours”. Lots of things went wrong at the same time, so the problem felt even bigger than it really was! OK, so your friend is having some problems, maybe they lost their job or their boyfriend broke up with them, or their girlfriend. You can use this idiom to help comfort them, to help make them feel better. It means that it’s possible to find a positive in a negative situation – no matter how difficult or painful it might feel at the time. Imagine if a friend lost their job. You could comfort them with this idiom. “To get wind of something” means to hear about something or to learn about something, mostly when what you hear is actually supposed to be a secret. If I say that I’ll be at a place “come rain or shine”, it means that I will definitely be there, no matter what! So, rain represents bad weather and shine represents the sun, really good weather, nice weather! So the idiom suggests that it doesn’t matter if it’s raining or if it’s shining with sun, you will be there no matter what the weather! If someone has their head in the clouds it means that they’re not focussed on what’s happening around them. They’re not paying attention to what’s going on in the real world! They’re stuck inside their own heads, they’re thinking about their own ideas, their own thoughts, their own dreams and their own fantasies. Perhaps like a daydream. Now, “lightning fast” just means really, really super fast and it can be used with either time that moves quickly or the speed of something that physically moves quickly. Now this idiom means that you would like to accept an offer from someone but you can’t do it right now and you want to accept the offer at a later time. You know how good it feels when you’re outside in the sunshine and it feels so warm on your skin, you feel so happy! This is where this idiom comes from! Something that “brightens up your day”, makes you feel really positive and happy! For example, you run into an old friend on the street, who you haven’t seen in years. That would brighten up your day! So did you recognise any of those idioms? Perhaps you’ve heard of a few of them before, but I hope that you learned a few new ones as well. If you want to keep practicing English idioms then check out this playlist up here and of course, if you love this lesson please share it with your friends and family! I would love to meet them as well! Make sure they subscribe to my channel by clicking this red button here and of course, if you would like to keep watching more video lessons then check out this one for pronunciation. This one for imitation where you can imitate a native English speaker. That’s all from me today but I’m looking forward to seeing you in the next lesson. Bye for now! Hi Emma,thank u so much for the valuable lesson.In fact,I tried hard to learn these idioms byheart. But just by watching ur videos it became easy for me.U are teaching in the most perfect way.I love all ur lessons.They are all explained in the most simple way.Thank u very much. These idioms are really useful. 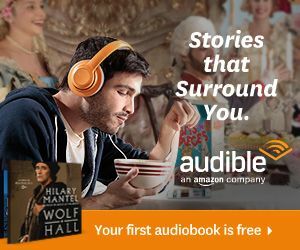 Your transcription is really good. Hi! Thank you very very much for the video and mainly for the great transcript. That’s really useful. You’re a wonderful teacher, thanks a lot again. Now I will watch all your videos. I wish I found your video teaching long time ago. Anyway I really like & thank for your teaching. I like to save your contact for my future trouble in English. Thank you for the idioms.